The short documentary ‘3 Houses’ was filmed in Ras Khamis and Ras Shahada, Jerusalem neighborhoods that were cut off from the rest of the city when the Separation Barrier was built in 2002. Since then, these neighborhoods and the tens of thousands of people who live there have been utterly neglected by the Jerusalem municipality. In 2013, the desperate situation in this no-man’s-land was even further exacerbated when the municipality announced its intent to demolish the homes of thousands of residents. KERRY MIGHT BE RIGHT .. IT’S NOT APARTHEID, IT’S WORSE THAN THAT! NABLUS (Ma’an) — Israeli bulldozers on Tuesday demolished a mosque and three houses in a Palestinian village south of Nablus, an official said. Ghassan Daghlas, a Palestinian official who monitors settlement-related activities in the northern West Bank, told Ma’an that over 20 Israeli military vehicles entered Khirbet al-Tawil near the town of Aqraba early Tuesday morning. Bulldozers immediately began demolishing a mosque and three houses belonging to Osama Anas, Anwar Sidqi Hani, and Muhammad Hani. The structures were demolished under the pretext that they were built without permits, Daghlas said. Israel destroyed more than 663 Palestinian properties in the West Bank and East Jerusalem in 2013, displacing 1,101 people, according to UNOCHA. Some 250 people have been displaced since the beginning of 2014. SJP member Amanda Najib delivers a mock eviction notice at the Rutgers University campus in New Brunswick, New Jersey. One Zionist group has alleged that SJP specifically targeted the dorm rooms of Jewish students on the New Brunswick, New Jersey campus with mock “eviction notices” designed to draw attention to Israel’s practice of demolishing Palestinian homes. But this claim has been contradicted by the university in a statement to The Electronic Intifada. The “bias” investigation comes after the university has already issued a written warning to SJP that it violated school policy by posting the flyers without prior approval from administrators. The claims are only the latest in a long-running effort by pro-Israel advocates to paint Rutgers University as hostile to Jewish students. Activists have used mock eviction notices on several campuses to draw attention to Israel’s demolitions of Palestinian homes. “On the night of Sunday, October 6th, Students for Justice in Palestine (SJP) board members printed mock eviction notices and distributed them in dormitory buildings,” Students for Justice in Palestine — Rutgers New Brunswick explained in a statement emailed to The Electronic Intifada. Last week, The Electronic Intifada published a photo story of Khirbet al-Makhul, a Palestinian community of 120 people in the occupied West Bank, demolished to make way for a live-fire training area for the Israeli army. In August, Human Rights Watch urged Israel to “immediately end unlawful demolitions of Palestinian homes and other structures,” noting an alarming increase in the number of Palestinians made homeless in eastern occupied Jerusalem since last year. “Our completely fake notices brought no harm; it is the confiscation of Palestinian land that these notices bring attention to that continues to bring harm to millions,” Rutgers SJP added. We posted the notices under many doors on different floors of student dormitories and residence halls. We chose doors at random, aiming to maximize the number of people who would be viewing the notice, with one exception: we intentionally avoided the Hillel building and Les Turchin Chabad House, locations with many, if not exclusively Jewish, residents. This was done to avoid the possibility that Jewish students would feel that they were singled out or targeted. A university statement appears to support SJP’s account and contradict the claims of Hillel’s Getraer. “The flyers were distributed randomly to about 800 students and the university is in the process of reviewing a student complaint arising from the incident,” university spokesperson E.J. Miranda wrote in an 11 October email to The Electronic Intifada. Identical claims that Jews were targeted have been made in other cases where campus Palestine activists distributed mock eviction notices, including at Harvard University andFlorida Atlantic University. Florida Atlantic confirmed there was no evidence Jewish students were targeted and declined to take punitive action. The claim that Jews were targeted at Harvard appears to have been fabricated by Israel’s far-right Arutz Sheva website. Pro-Israel groups have been swift to condemn the SJP educational effort and to call for official retribution. [No] student in this university ever will feel safe until they know that university groups that engage in this kind of behavior will be unconditionally disbanded, since actions that compromise the emotional safety of our students within the privacy of their own residences cannot be tolerated and have no place on our campus. The Targum reported on 11 October that complaints had been filed with the bias committee, and that committee, which “deals with the content in the flyers,” in turn alerted the Office of Student Life, which oversees student organizations. Kerri Wilson, director of student involvement, told the Targum that SJP “was found responsible for violating student involvement posting policy for the residence halls,” resulting in a written warning over the unauthorized distribution of the flyers. “We have faith that the Rutgers community and administration will recognize that our cause is important, not only to the Palestinians, but to the humanitarians in all of us,” the Rutgers SJP statement said in reference to the complaints. The Bias Prevention Education Advisory team Team is co-chaired by Hillel Rabbi Esther Reed herself. It is unclear whether she would play any role in the investigation, given her organization’s advocacy for Israel and her own prejudicial public statements regarding the flyers. Then, as now, Getraer was executive director. As recently as 2012, Rutgers Hillel has hosted Israeli soldiers who have personally participated in the military occupation of Palestinian land and justified killings of Palestinians. The allegations of “bias” at Rutgers are only the latest in a series of attempts to portray the campus as a hostile environment for Jewish students as a result of Palestine solidarity activism. Rutgers is the subject of a 2011 complaint to the US Department of Education by the Zionist Organization of America under Title VI of the Civil Rights Act, alleging pervasive anti-Semitism on campus. A similar tactic has been used by various Zionist groups in an effort to suppress Palestine solidarity activism on other campuses. But three similar complaints against the Berkeley, Santa Cruz and Irvine campuses of the University of California were recently thrown out by the US Department of Education’s Office of Civil Rights, in what has been seen as a major victory for free speech. Gregory S. Blimling, the university’s vice president for student affairs, told the Chronicle of Higher Education in April 2012 that the issues raised in the complaint were not about anti-Semitism, but disagreement over Israel’s policies. While Blimling may believe that, the indisputable fact is that only anti-Palestinian groups have resorted to legal measures to try to silence criticism of Israel on campus. The attack on Rutgers has already affected the right of students to freely learn and talk about the question of Palestine. Junior faculty are too afraid to even discuss the Israeli-Palestinian conflict in class, according to Professor Charles G. Häberl, 2009–12 director of the Rutgers Center for Middle Eastern Studies. “They are frightened to say anything about these issues, especially since they don’t have the shield of tenure to hide behind. And I don’t blame them,” Häberl told the Chronicle. Anti-Palestinian groups are likely to consider that a success. On the night of Sunday, October 6th, Students for Justice in Palestine (SJP) board members printed mock eviction notices and distributed them in dormitory buildings at Rutgers New Brunswick. This action was intended to call attention to the systematic demolition of the homes of Palestinians in the Occupied Territories and Israel. Since 1967, approximately 24,000 Palestinian homes have been demolished by Israel, as estimated by the Israeli Committee Against House Demolitions. 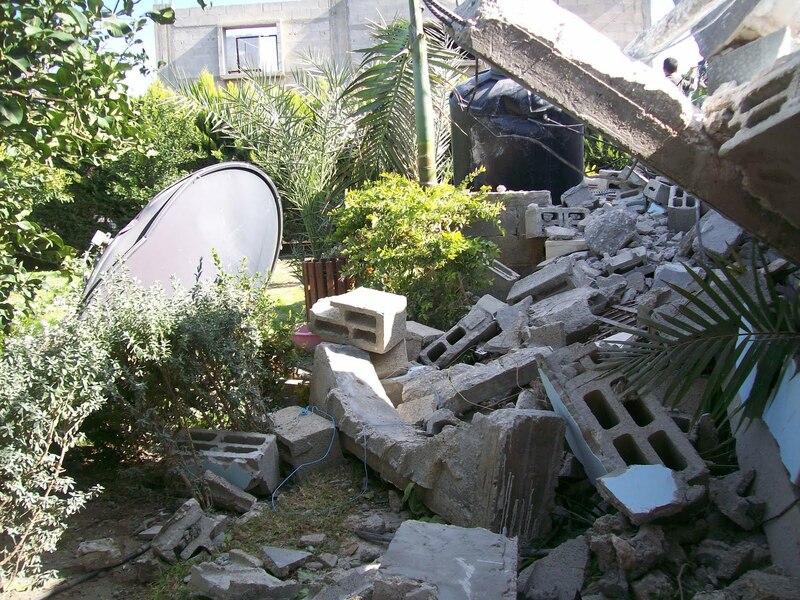 The facts about Palestinian home demolitions included on the mock eviction notices are all true and substantiated by human rights organizations, as well as international bodies such as the United Nations and International Court of Justice. More information can be found at www.icahd.org. The fake eviction notices were just that—fake. The notices clearly stated that the eviction was not real, and was authored by SJP. This peaceful, quiet demonstration is not unprecedented. It originated with student activists at New York University and has spread to other schools across the country, including Harvard, Yale, San Diego State, and Florida Atlantic University. This action is part of our long-term mission to draw awareness to a human rights issue that affects the global community on many levels, including social, psychological, humanitarian, and economic. The Palestinian-Arab refugee and displaced population is the largest in the world, and forced evictions are one of the milder methods used to achieve this. It cannot, thus, be truthfully denied that for 65 years now, the Israeli government has oppressed and traumatized the Palestinian people by means of racial discrimination, ethnic cleansing, illegal settlement and colonization, forced military occupation, and more. Thousands of Palestinian men, women, and children have been killed since the beginning of this conflict, and Palestinian refugees and their descendants number in the millions. Our completely fake notices brought no harm; it is the confiscation of Palestinian land that these notices bring attention to that continues to bring harm to millions. We hope that those who received and read them were given more insight as to the plight of the Palestinian people after being put in their shoes for a few seconds. We have faith that the Rutgers community and administration will recognize that our cause is important, not only to the Palestinians, but to the humanitarians in all of us. We ask for your support not only in our fundamental right to freedom of speech, but also in fighting for Palestinian liberty, justice, human rights, and self-determination. Students for Justice in Palestine is proud to be at Rutgers University, and we will not— should not— be silenced. Students for Justice in Palestine — Rutgers New Brunswick. A Palestinian child reacts after coming back from school to find his house destroyed by the Israeli occupation forces, east of Jerusalem, today. All his books, toys, memories … Everything he had represented a threat for “Israel’s security” !!??!! That look …Can you imagine how much anger he carries in his heart now ……!!!!! International volunteers join Palestinians and Israelis to build ‘alternative facts on the ground’ in defiance of Israeli demolition policy. Six months after Israeli bulldozers demolished the house of Salim and Arabiya Shawamreh, Palestinian workers, Israeli activists, and international volunteers gathered to celebrate their successful efforts to rebuild it. Dubbed “Beit Arabiya” (“Arabiya’s House”), and used as a peace center by the Israeli Committee Against House Demolitions (ICAHD) since 2003, it has long been a gathering place for ICAHD’s efforts to resist the Israeli government’s discriminatory housing policies that systematically refuse building permits to Palestinians and then demolish houses that are built regardless. More than two hundred people gathered in the West Bank town of Anata to celebrate the rebuilding of Beit Arabiya, home of Salim and Arabiya Shawamreh family. 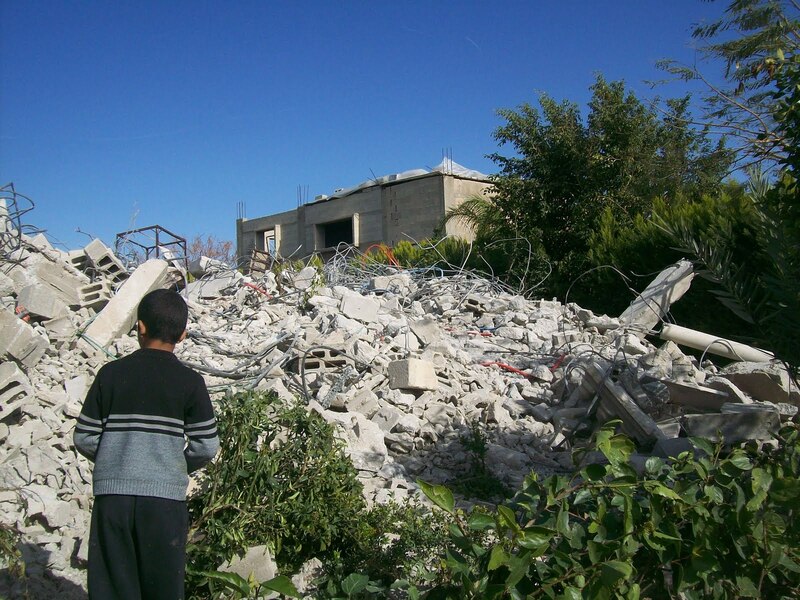 Since 1998, this home has been demolished five times by the Israeli government but rebuilt each time by the Israeli Committee Against House Demolitions (ICAHD) as a political act of resistance to Israel’s demolition policies, which are illegal under international law. The home was rebuilt during ICAHD’s tenth annual rebuilding camp that attracted more than thirty internationals that stood side by side with Israelis and Palestinians who refuse to be enemies, demonstrating that there are partners for peace. 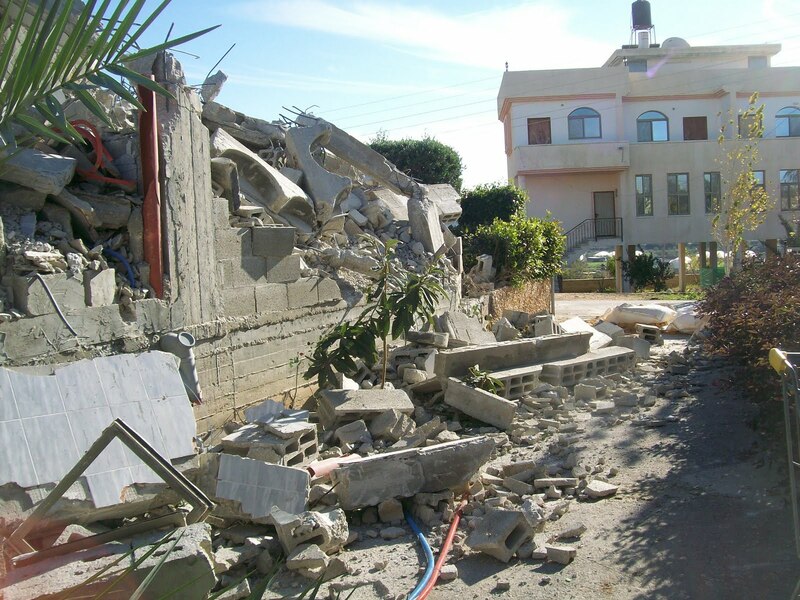 Within two weeks, the pile of rubble left after the demolition of the house in the middle of night on 23 January earlier this year, was transformed into a fully functioning house with an extensive terrace, made possible by nearly one hundred additional volunteers, including international youth, part of summer delegations to Palestine who worked with temperatures soaring over 30 degrees C and with limited water supplies. Every year hundreds of Palestinians are forced from their homes, homes built on land they own. Since 1967 Israel has demolished more than 26,000 Palestinian homes in the West Bank, East Jerusalem and Gaza. ICAHD has rebuilt a total of 186 Palestinian homes illegally demolished by Israel and is determined to see this cruel policy stop. ICAHD Director, Prof. Jeff Halper, calls the rebuilding “an overtly political act of defiance. By rebuilding, we set alternative facts on the ground.” The Shawamreh family applied three times to the Israeli Civil Administration for a building permit and was refused each time, as were 94% of Palestinian permit applications since 1993. Having no other alternative, they proceeded, as have thousands of other Palestinian families, to build their home, in which they lived for five years despite having been issued a demolition order. Activestills is a collective of Israeli, international and Palestinian photographers, united by a conviction that photography is a vehicle for social change. To stay updated on our latest images, like Activestills on Facebook or follow @activestills on Twitter. You can also visit ourflickr photostream. This is what she supports …. THIS is how. In Arab an Ramadin al Janubi, two houses were destroyed at approximately 7:30 in the morning. The demolition was executed by 50 soldiers using 2 bulldozers. The first home belonged to the Shaour family. The home was built through donations by the 320 residents of the village. And today the Israeli Army forced this family out of their home with violence. One of the children was dragged out of the house by his throat. Their first demolition notice was sent two weeks ago and then another notice three days ago. The evicted family included 8 children and their parents. The only thing that was saved from the home was the grandmother’s medical bed. The grandmother had to watch her son’s home being demolished as she laid in her bed not able to move. After the first demolition the soldiers continued their efforts to destroy homes. The next on the list was the home of Mohammed and his 5 children. Mohammed originally received a demolition order 10 years ago, and today the Israeli army fulfilled their threats by destroying Mohammed’s house. He is now asking himself, “Where will I sleep tonight with my children?” All of their possessions including a refrigerator, TV, and sofa lay under the rubble of this 8 by 10 meter squared house. “All the belongings we cumulated during these 10 years, the family souvenirs, pictures”, Mohammed said as he began to cry. They have lost everything . In both of these home demolition cases the soldiers did not let the family save the furniture, electronics, or clothes. Now both families have no place to call home. Sarah is a volunteer with the International Solidarity Movement (name has been changed). Reading and rereading my previous post, I can’t phantom the inhumanity of the Israeli forces responsible for the home demolitions described. It’s freezing here…. 30 human beings were just rendered homeless for no reason at all. Israel does things to Palestinians ‘because they can’ … no other reason. A Palestinian man rebuilds his home in the northern West Bank village of Khirbet Tana after it was demolished by Israeli troops (Brendan Work, PNN). Here is contact information for the Israeli government throughout the world… let them know this madness has to end NOW! Most contact info is found HERE. Call, Write, Demonstrate untill this madness ends! THE OCCUPATION MUST END NOW!! JUST DO IT! …. IT’S A WAY TO PEACE!! Instead of American football, this is how Israeli Occupation Forces ‘observed’ Thanksgiving. Also gives a new meaning to ‘Black Friday’ … video at end of post..
Israeli forces carried out a demolition campaign across West Bank on Thursday, destroying a mosque and several other buildings in the village of Susya in the South Hebron Hills, as well as several Bedouin homes in the town of Beit Hanina, near Ramallah. Soldiers also arrested two girls and demolished a cave dwelling with a woman still inside it, breaking her leg. Two Palestinians were also arrested in Jerusalem during dawn raids on Friday—Haytham Shukri Taha from Beit Hanina and 46-year-old Bassem Idris from Silwan. Both were taken from their homes in the middle of the night and Idris’ cell phone was confiscated. Taha was interrogated at the al-Moskobiyya Police Compound in Jerusalem. Neither have been charged. On Thursday, east Hebron Popular Committee Against the Wall and Settlements coordinator Ratib al-Jabour told Palestinian government news wire Wafa that an “enormous” Israeli force raided Khirbet al-Maqfareh, near Susya in the South Hebron Hills, and demolished a 50-square-foot mosque and two houses inhabited by 24 people. According to the Popular Struggle Coordination Committee (PSCC), no demolition order was ever presented. The owner of first house, Maher al-Tahaan, said the majority of its 10 inhabitants were orphaned babies, while the second building, owned by Mahmoud Hussein al-Tahaan, housed 14 people, four of them with special needs. Also in Susya, Palestinian eyewitness Sulaiman Salem al-Adreh from Yatta said that Israeli forces arrested two teenage girls: Amal Jamal Mussa al-Burqandi Hamamdeh, 17, and Sawsan Mahmoud Hussein al-Tahaan, 19. When Israeli forces demolished a cave dwelling in Susya, a stone fell on 45-year-old old Halima Shahadeh Hamamdeh’s leg and broke it. She was taken to a nearby hospital. The Popular Struggle Coordination Committee (PSCC) reported that Israeli troops also tore down a barn containing a hutch of rabbits, injuring and killing many of the animals. The property owners were not allowed in to remove them before the demolition. Also in Susya, a house and cattle barn belonging to Mohammed Musa Mughneym were demolished, and the Susya school was also raided. According to local sources, Israeli soldiers attacked and severely beat the school principal, Mohammed Jaber Musa al-Nuwaja’a, then threatened him that they would be coming back to the school to demolish it. Demolition notices were given to families from Khirbet al-Derat, east of Yatta, and at least four men were summoned for interviews with Israeli intelligence. WILL THERE BE ANYTHING LEFT OF PALESTINE BY SEPTEMBER? BUT … before the long awaited for vote takes place Israel has been systematically destroying whatever remains of Gaza and demolishing homes in the Occupied West Bank. So, I ask again, will there be anything left of Palestine by September? 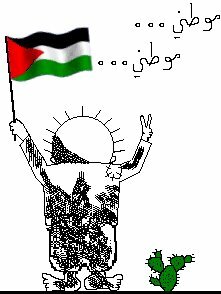 Join those who SAY NO to the destruction of Palestine! RAMALLAH, Each year, hundreds of Palestinians in the West Bank have their homes demolished by the Israeli authorities because they are unable to obtain permits for their buildings, according to the UN Office for the Coordination of Humanitarian Affairs (OCHA). The demolitions take place in Area C, a zone designated by the Oslo accords covering 60 percent of the West Bank with a Palestinian population of about 150,000. Israel retains military authority and full control over building and planning in Area C: as much as 70 percent of it is inaccessible to Palestinians, classified as Israeli settlements, firing zones or nature reserves. In the remaining 30 percent there are a number of other restrictions that reduce the possibility for Palestinians to obtain a building permit, reports OCHA. In practice, Palestinian construction is normally permitted only within the boundaries of a plan approved by the Israeli Civil Administration, which covers less than 1 percent of Area C, much of which is already built-up, according to OCHA. Many Palestinians living in Area C are left with no choice other than to build without a permit. Israel says authorities have only demolished illegal structures, and that Jewish and Palestinian residents in Area C are subject to the same restrictions. 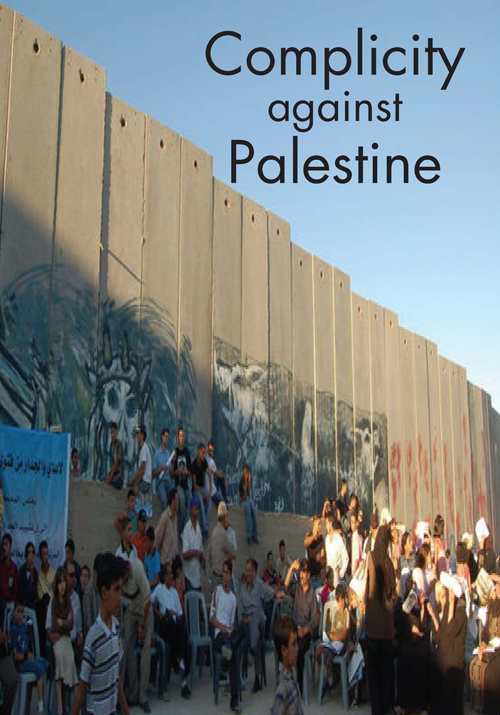 An August 2011 OCHA report highlights the concerns of 13 Area C communities, including restrictive and discriminatory planning and zoning policies which limit Palestinian construction and use of the land, and lack of effective law enforcement in response to settler attacks. Also, movement and access restrictions, like those created by Israel’s wall in the West Bank, limit access to land and water resources for many communities. Farmer Mohamed Khalil, 55, from Khallet Zakariya, says Israeli settlers ruined about half a hectare of his agricultural fields in June and spray-painted “death to Arabs” in black on the wall of his home, which is still visible. The lost crops will affect income for three families, including 19 people. Mohamed has filed a complaint with Israeli police. According to Khalil, officials from the Civil Administration, the Israeli governing body that operates in the West Bank, came and offered to relocate his community of about 350 people to an area west of Bethlehem called Nahhlin. “My father cultivated this land — we declined,” he said. With the Bat Ayin settlement located directly west and the Rosh Zurim settlement directly to the north, residents of Khallet Zakariya say there is a strategy to force them out to allow further settlement expansion. However, expansion has mostly been in larger settlements over the past year, according to Israeli human rights organization B’Tselem. Fatima Saed, her husband Mahmoud, and their four children had 20 minutes notice to pack their belongings and evacuate their home in Khallet Zakariya before it was bulldozed by Israeli authorities on 25 July. “Our lawyer was not informed that we had lost our court case disputing the demolition order for our home,” said Fatima. Her family is now living at her brother’s house nearby, with 21 people crammed into two rooms. “We built here without a permit, because my family owns the land,” she said. In the first six months of 2011, OCHA reports that the Israeli authorities demolished 342 Palestinian-owned structures in Area C, including 125 residential “structures,” displacing a total of 656 Palestinians, including 351 children — almost five times as many demolitions and people displaced as during the first half of 2010. Another Israeli organization, Bimkom, comprised of planners and architects to strengthen human rights in the field of planning, published a comprehensive report in 2008 detailing what it describes as separate planning systems for Israeli settlements that allow for growth and expansion. From 2000 to 2007, the Civil Administration approved 5 percent of the applications for building permits submitted by Palestinians in Area C. The total number of building permits issued to Palestinians during these seven years was 91, an average of 13 building permits per annum, Bimkom reported. 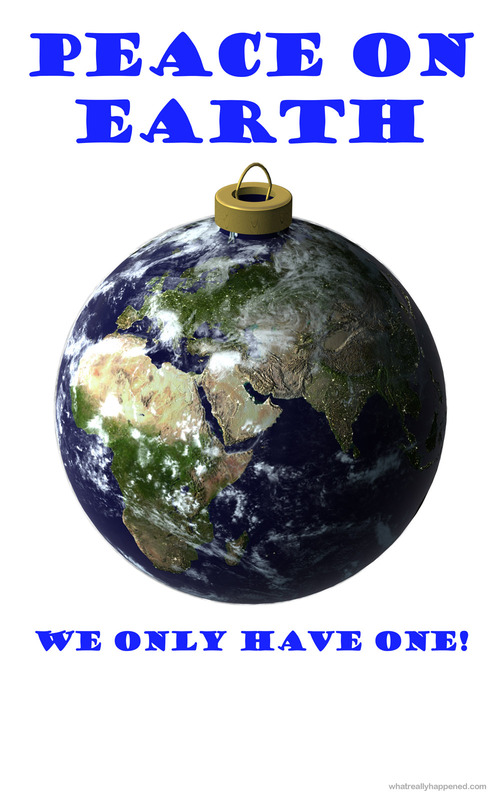 UNITED NATIONS CONCERNED ABOUT THE PLIGHT OF THE PALESTINIANS…. The latest numbers from the United Nations show a two-fold increase in the number of Palestinian homes and agricultural buildings destroyed by Israel order this year, causing concern among officials. BETHLEHEM — The latest numbers from the United Nations show a two-fold increase in the number of Palestinian homes and agricultural buildings destroyed by Israel order this year, causing concern among officials. The UN Relief and Works Agency recorded 70 demolitions since the start of 2011, displacing 105 Palestinians, of whom 43 were under the age of 18. The demolitions were carried out across the West Bank and East Jerusalem, and ordered by Israeli police, municipal officials and by mandate of the Civil Administration. The last two months in 2010, Gunness said in comparison, saw 29 structures demolished. “The High Commissioner for Human Rights described this as discriminatory,” he said, referring to comments of Navi Pillay who visited the region last month. She said, “All settlement-related activities, and any legal or administrative decision or practice that directly or indirectly coerce Palestinians to leave East Jerusalem, including evictions, demolitions, forced displacements and cancelation of residence permits on a discriminatory basis, should be halted and restrictions on access to East Jerusalem by other West Bank inhabitants should be lifted,” in a statement on her final day in the region. In the West Bank, Palestinians are prohibited from building in zones declared by Israel to be military training zones, firing areas, state land, near settlements, or areas otherwise declared to be “Area C,” which falls under Israeli Civil Administration. According to UN numbers, more than 60 percent of the West Bank falls under one or more of these designates. He said if their homes were taken down, the family — 50 members in all — would have nowhere else to go. Hiding in the cemetery where her parents are buried, Hakma al-Turi, an Israeli citizen, has watched bulldozers demolish her village — al-Araqib — more than 20 times. The Israel Land Administration first demolished the 45 structures on this patch of land in the Negev desert eight months ago. When the 300 Israeli Bedouin who lived here defiantly rebuilt tarp-covered shacks, the Israel Land Administration demolished them again and again, the last time on March 7. But the Land Administration inspectors and the police officers escorting them have so far been reluctant to enter the cemetery adjacent to the village, where the extended al-Turi family has been burying family members since 1907. So Hakma, a mother of nine, devised a plan to protect her most fragile possessions: she put her family photographs, children’s medicines, and a small refrigerator full of milk in an improvised wheeled cart. When the bulldozers came, her husband would tie it to their car and drag it from their house and into the cemetery. But on January 17, as the tenth demolition took place, Hakma’s family was too slow. Police officers caught them on the way to the cemetery, commandeered their car, forced in five other “illegal” residents, and drove it at what Hakma thinks was a deliberately reckless speed over unpaved roads to the police station. “They broke the cart and most of what was in it flew out; they confiscated the rest,” Hakma told me. The extended al-Turi family lived in al-Araqib from Ottoman times until 1952, when the Israeli army commander told them to leave for six months for military training, according to a government report citing village elders’ testimony. Israeli authorities never allowed them to return, refuse to recognize Bedouin ownership claims, and consider the village illegal. Al-Araqib is, or was, one of 36 “unrecognized” Bedouin villages — home to at least 50,000 people — that, as Human Rights Watch documented in a 2008 report, Israel refuses to connect to basic services or infrastructure such as water, electricity, sewage treatment, and garbage disposal. Israeli officials encouraged the Bedouin to relocate to the seven state-built new towns — among the poorest communities in Israel. Many al-Araqib residents own homes in one such nearby town, Rahat. But the government’s professed plans seem to be more about politics than forestation. In March 2010, Israel’s then-agriculture minister told the parliament that the Jewish National Fund was planting forests around al-Araqib “in order to safeguard national lands.” In January 2011, the Israel Land Administration’s development director said to Israeli news media that the agency “has begun preparing the ground for planting to guard the land.” When it first demolished al-Araqib in July 2010, the Israeli government uprooted 850 of the villagers’ olive trees, an administration spokeswoman told Human Rights Watch. All the while, Israel could easily plant forests in vast areas of the Negev where Bedouins have no land claims without erasing Bedouin links to their land. Indeed, the day before the government first demolished al-Araqib, Prime Minister Benjamin Netanyahu hinted at the real motive, warning in a government meeting that “if we allow for a region without a Jewish majority” in the Negev, that would pose “a palpable threat” to Israel. As Netanyahu’s comment suggests, Israel’s attitude to Negev land rights is different when it comes to Jewish citizens. Bedouin constitute 25 percent of the population of the northern Negev, but occupy less than two percent of its land. Over the past decade, Israeli authorities have allocated public funds and large tracts of the Negev to create 59 private ranches and farms, of which only one is Bedouin-owned. These farms stretch over 20,000 acres of land, greater than the total land area of the seven Bedouin towns built to house 85,000 people. Israeli authorities have never produced a justification for this difference in treatment. The government’s discriminatory practices in the Negev sometimes resemble its settlement policies in the West Bank, where Israel limits Palestinians’ ability to build while encouraging Jewish settlement expansion, as Human Rights Watch documented in a recent report. In a nighttime operation in January 2004, the then-housing minister had ten mobile homes constructed on land adjacent to al-Araqib for settlement by a Jewish community and promptly connected them to electricity and water. The land, previously promised to Bedouin, is now the Jewish town of Gvaot Bar. While international entities almost uniformly oppose the construction of Jewish settlements on Palestinian land in the West Bank, however, many of the same actors appear unaware of the simultaneous land grab happening in the Negev. In December 2005 diplomats from 49 countries, including Germany and Spain attended the inauguration of the “Ambassador’s Forest,” which villagers and an Israeli NGO, Dukium, says is on al-Araqib’s land. Meanwhile, Hakma’s family has one remaining asset: a minivan parked in the graveyard. I looked inside and saw the family’s clothes, and the younger children’s schoolbags hanging neatly on nails. “We used to have a nice house,” Hakma told me, searching for photographs to show me. Then she remembered that the police had confiscated them. *Noga Malkin is a Jerusalem-based research assistant for Human Rights Watch. The settlers have been able to expand their hold in the neighborhood because prior to 1948 there was a Jewish neighborhood in Sheikh Jarrah. The court recognized the right of Jews who inherited properties to reclaim their properties. Since then, the settlers are working hard to convince the owners of the properties to sell them the rights so that they could evict the Palestinians and populate the area with Jewish families. We often hear the zionists cry out that ‘the Arabs want to drive the Jews to the sea’…. 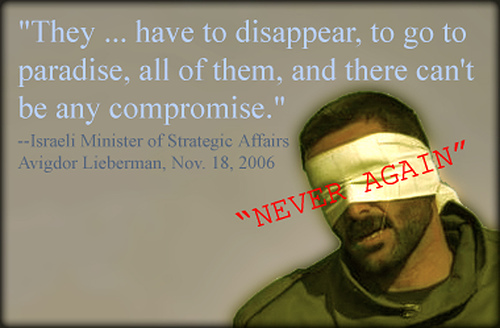 but the reality remains that the zionists themselves are doing exactly that to the Arabs. One by one, family by family, Palestinian families are being driven from THEIR homes in Occupied East Jerusalem to make way for illegal Jewish settlers. 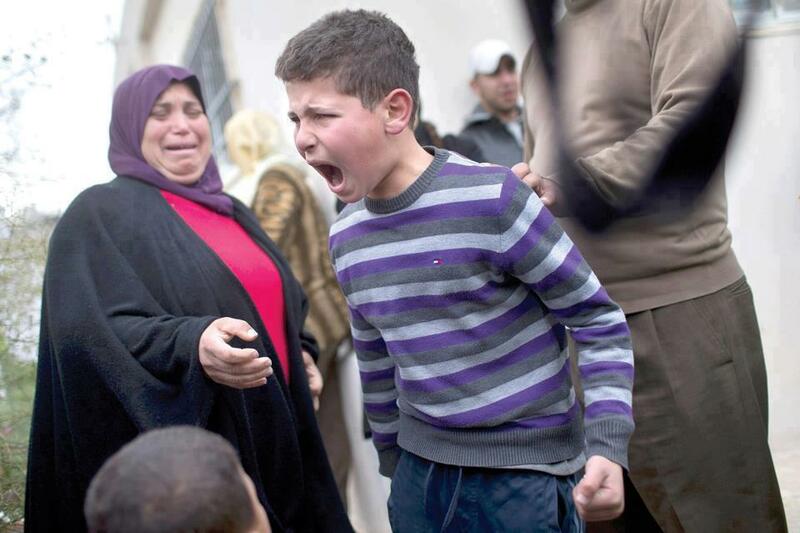 These Palestinians are also crying out about their plight….. but no one seems to hear them, no one is listening. In this case, the problem is real, not a ploy to get billion$ from the West to protect what isn’t theirs. In this case, the homes in question belong to the families in question. This is the Nakba continued…..
Several Palestinian families in East Jerusalem’s Sheikh Jarrah will be evicted to pave way for two new buildings meant to comprise 13 apartments. The Jerusalem Municipal Committee for Planning and Building is expected to approve Monday the construction of two buildings that will include 13 apartments for Jewish residents in the Sheikh Jarrah neighborhood of East Jerusalem. Backing the plan are settler organizations who currently occupy three homes in the neighborhood. Following the plan’s approval, it will be necessary to evict a number of Palestinian families living on the site in order for construction to commence. Settlers evict Palestinians from their home in Sheikh Jarrah in East Jerusalem, December 1, 2009. The planning committee is also expected to approve a new access road south of Har Homa, which will enable the expansion of the neighborhood. According to the plan to be brought today for approval, two buildings will be razed in the western part of the neighborhood where, until now, nearly no Jews live. In its place, two new buildings will be built. One will have 10 apartments and the other, three. In both cases Chaim Silverstein, a well known figure in right-wing circles in Jerusalem, is proposing the plans to the municipality. The companies behind the project are registered in the United States, and are probably front companies set up by right-wing activists in order to transfer funds for the purchase of real estate in Israel. Silverstein has power of attorney rights in both companies, Debril and Velpin. For the past 18 months there has been a struggle between Arabs and Jews over the activities of settlers in Sheikh Jarrah and against efforts to evict Palestinian families from the neighborhood. A Supreme Court ruling in 2001 included the possibility of applying for Jewish property rights in the western portion of the neighborhood, and right-wing activists announced that they intended to expand their activities in the area over that portion of Sheikh Jarrah. “Continuing Jewish settlement in Sheikh Jarrah will seriously harm relations with the Palestinians and will break all agreements that Jewish neighborhoods will remain under Israeli sovereignty and Arab neighborhoods will be under Palestinian sovereignty,” says Yosef Alalu, a Meretz city councillor. Hamza Abu Eid, 17, was at school when he first heard the news that his extended family’s seven homes in Lydd — a mixed but segregated Palestinian and Jewish area of Israel — were being demolished. When he arrived to his house the morning of 13 December 2010, the rain was pouring and he was greeted by a full force of Israeli police and bulldozers destroying his family’s residence and belongings. Hamza is one of 67 members of the Abu Eid family — among them dozens of children — who were displaced by the home demolitions in Lydd, a city that is representative of the stark contrast in living standards between Israel’s Jewish and Palestinian citizens. According to Israeli historian Benny Morris, during the 1948 dispossession of historic Palestine during the establishment of the State of Israel — what Palestinians call the Nakba — the Palestinian residents of the town were driven out in the aftermath of a massacre that left hundreds dead. The residents of Lydd were also forced to walk miles in brutal heat, and many more Palestinian refugees died. The Abu Eid family are originally from al-Mansoura, but were expelled during the Nakba to the northern area of Safad and then to Wadi al-Hamam before arriving in Lydd in the late 1950s. Currently, the Jewish areas of Lydd are built-up and visibly nicer-looking, populated by many Jewish immigrants from the former Soviet Union. Palestinian residents, who make up nearly a third of the city’s population, are routinely denied permits to expand or build homes in their city and are faced with systemic discrimination. For example, the Abu Eid family had to build and expand their homes without a permit as the family grew. The family sought to obtain retroactive permits, and many appeals were made while the Abu Eid family’s case was litigated in Israeli courts. The Israeli police have also set out to intimidate the Abu Eid family by calling family members into the police station with questions about the weekly protests that have been held in Lydd since the demolitions. Meanwhile, the winter months in Lydd are cold, and the women have been sleeping in their neighbors’ homes while the men have to sleep outside in tents. “What [the Israelis did] was terrorism,” said Riad Abu Eid, 54. “Until now, we have no solution,” he said, explaining that the family had been living there since the 1950s. The housing demolitions aren’t the first time the city of Lydd made headlines this year. The city garnered Israeli media attention in the wake of a spate of violent crimes in October 2010. In response, the Israeli government passed a large “emergency assistance” plan meant to “strengthen and develop the crime-ridden city,” according to the Israeli daily Haaretz (“Israel approves NIS 160 million project to save crime-stricken Lod,” 31 October 2010). Part of that plan, though, went to “enforcement regarding illegal construction” (“PM Netanyahu to Submit Lod Development Plan for Cabinet Approval on Sunday,” Prime Minister’s Office, 31 October 2010). According to the Israeli Committee Against House Demolitions, the Israeli actions were “one of the biggest demolition operations inside [Israel] this year. The houses, owned by Palestinian citizens of Israel, are located in an area which is not zoned for building despite the repeated attempts of the residents to re-zone the area in order to permit building. At the same time, large plans are already approved for Jewish-Israeli building as soon as the Palestinian houses are gone” (“Demolitions in Lod,” 13 December 2010). 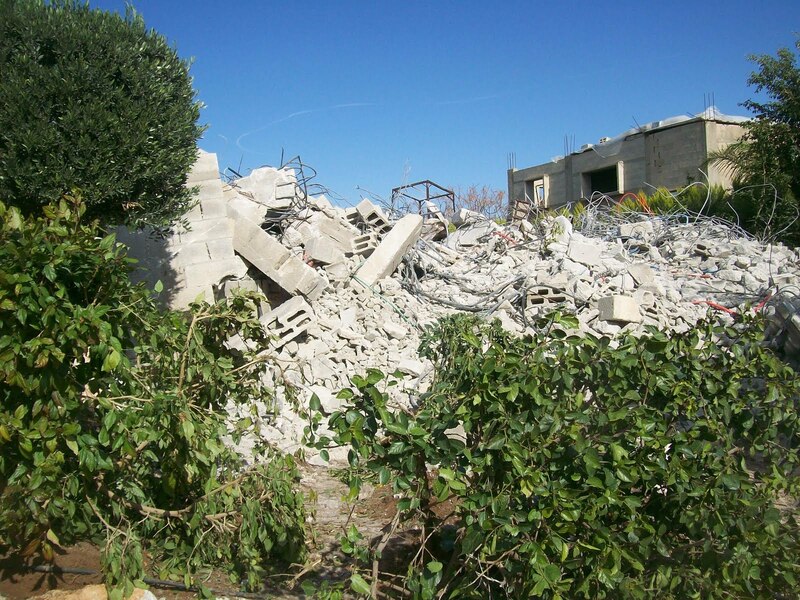 The Palestinian Ma’an News Agency reported that the demolished homes are among more than a hundred in Lydd that are facing demolition, and that a dozen other homes had been bulldozed in recent years. 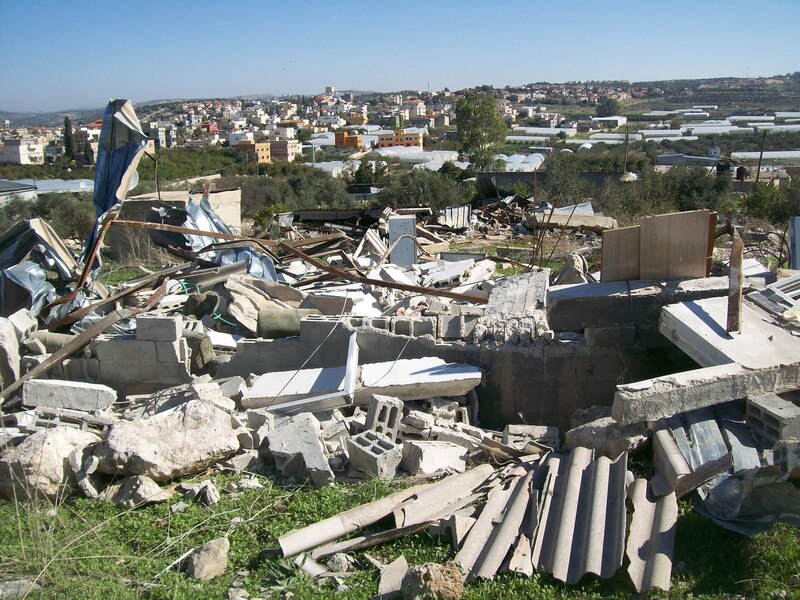 Forty-two-thousand Palestinian homes throughout Israel are also currently under threat of demolition (“Family takes stock after mass Lod demolition,” 16 December 2010). Buthaina Dabit, a Palestinian citizen of Israel and director of the New Israel Fund Shatil’s Mixed Cities project, sees the home destructions as part of the systematic oppression that Israel’s Palestinian citizens face on a daily basis. The current right-wing coalition government in Israel has pushed a number of discriminatory bills aimed at Palestinian citizens of Israel. “They tell us, you are the problem, and we are going to fight you,” she said. On Tuesday, the Israeli military demolished the dreams of a family of five in the Palestinian village of Azzoun Atma. At 8.30am, on January 11, more than 100 Israeli soldiers surrounded their home, forced them onto the street and then locked them in the neighouring house for the next three and half hours. As “the most moral army in the world” stood guard around the neighbouring house, ensuring the family could do nothing to stop what was about to happen, a heavily armoured Caterpillar bulldozer smashed down the walls of the home they had lived in for more than 8 years. 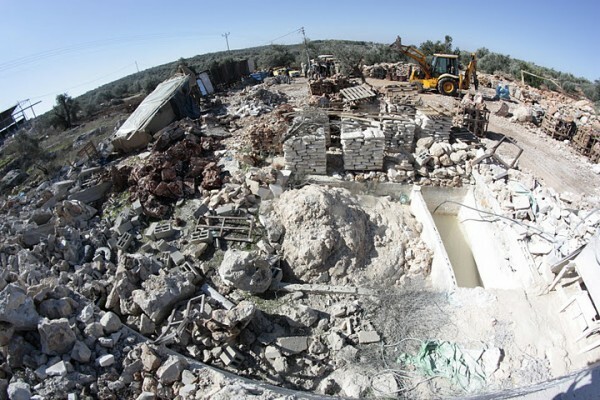 The Israeli occupation forces then made their way to the other side of the village and demolished a farm house belonging to another family, along with their agricultural pens. The day after the demolition of their dreams, myself and my team mates from the International Women’s Peace Service visited the family to take a report. As we walked around what was once the home of the family we could see, even among the destruction and rubble which lay before us, the loving care they had put into their home. The trees in front of their home were pruned, shaped and manicured. Stepping through the rubble, their garden which was located at the back of their small home, was neat, green and well cared for. In the drive way of the neighbouring house, where they were locked and which belonged to the parents of the husband of the family, there was well-worn, but well-cared for modern style furniture which has subsequently been rescued from the demolished wreckage nearby. The family’s “crime” was that they built their home on their own land without the permit of the Israeli military occupation administration, which is known in the Orwellian parlance of the Israeli state and its occupation forces, as the “Israeli Civil Administration”. Since its 1967 seizure of the West Bank, Gaza and East Jerusalem, Israel has systematically demolished between 18,000 and 24,000 Palestinian homes [3 & 4]. The majority of these homes have been destroyed under the guise of an Orwellian system of “building permits”, which seeks to establish a faux legal system which prevents the Palestinian population from building homes and infrastructure. This system allows the Israeli military occupation administration to establish a “legal” precedent to demolish any Palestinian house and infrastructure built without its permission, in order to ethnically cleanse the Palestinian population. In the immediate aftermath of the 1967 war, the Zionist state demolished more than 600 Palestinian homes in the Mughrabi Quarter in order to build a plaza in front of the Western (Wailing) Wall in Occupied East Jerusalem. The Israeli state went onto demolish more than 6,000 other homes, including four entire villages in the Latrun area, which is now known as “Canada” Park . The Israeli Committee Against Home Demolitions (ICAHD) note that in 1971, another 2000 homes were demolished in Gaza under the instructions of Ariel Sharon, who was at the time, the Commander of the South Command. The houses, which were located in the different refugee camps in Gaza were demolished to enable military control of the region. According to ICAHD, Israel destroyed another 2000 homes during the first intifada (1987 – 1993) and another 1700 during the Oslo Peace process between 1993 and 2000. Since the beginning of the Al Aqsa Intifada in September 2000, ICAHD documents that Israel has carried out numerous military operations which have destroyed Palestinian residential homes. This has resulted in up to 5000 Palestinian homes being destroyed in Jenin, Nablus, Ramallah, Bethlehem, Hebron and other cities, while at least 2500 were destroyed in Gaza. According to a 2010 survey done by the United Nations Office of Humanitarian Affairs in the Occupied Palestinian Territories (UN OCHA oPt) between January and July 2010, 199 Palestinian structures, including 59 homes were demolished, leaving 242 people homeless . UNOCHA notes that in 2009 the demolition of homes by the Israeli military left 891 Palestinians homeless, including 499 children. In 2004, international human rights organisation, Human Rights Watch estimated that at least 50,000 Palestinians have been made homeless by military home demolitions since 1967. Since 1967, Israel and its military occupation administration have made it almost impossible for Palestinian families to obtain building permits to build or extend their homes. This has been particularly noticeable in Area C, where Azzoun Atma is located. Azzoun Atma is a “seamline” village located in “Area C” between the 1967 Green Line and Israel’s Apartheid Wall. Under the terms of the Oslo Accords “Area C”, which covers 62 percent of the Occupied West Bank, is under full Israeli control. Area C is home to up to 150,000 Palestinians and contains not only the area necessary for the expansion of Palestinian population centres (more than 270 communities) but also contains the bulk of Palestinian agricultural and grazing land. 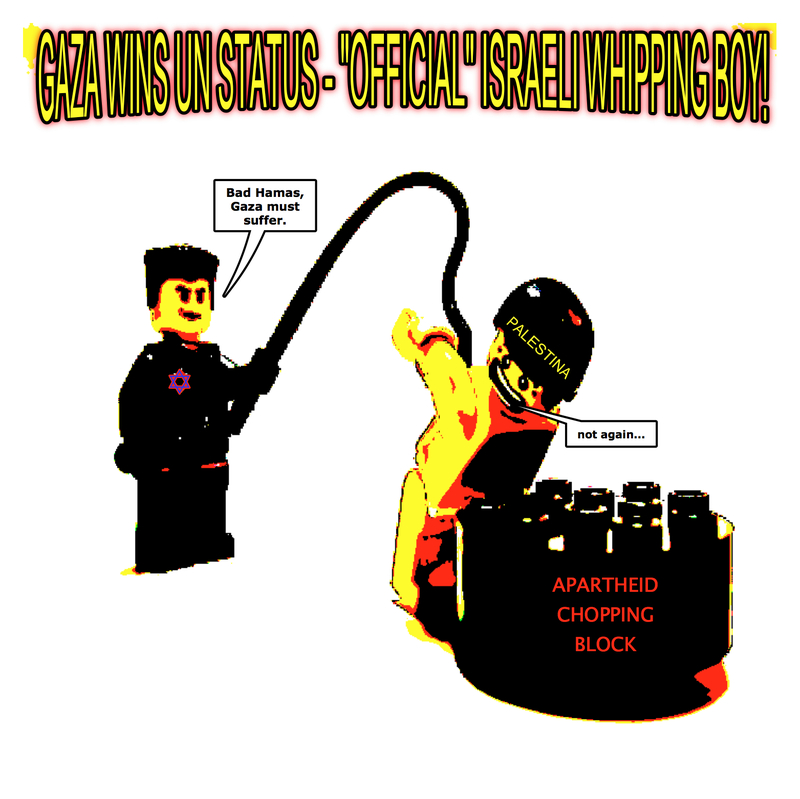 However, according to UNOCHA oPt, the Israeli Civil Administration (ie. The Israeli Military Occupation Administration) have continually refused to allow Palestinians to build in 99 percent of region covered by Area C, only allowing construction in only 1 percent of the region. Similarly, according to a 2008 study by Israeli group, Peace Now, between 2000 and 2007, 94% of all Palestinian permit applications for Area C were rejected by the Israeli “Civil Administration”. . During this period only 91 permits were granted. However, Peace Now noted that during that same time the number of building permits granted to settlers in illegal Jewish settlements located in Area C totalled 18, 472. 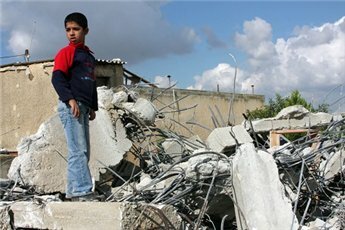 According to Peace Now, during this period, the Israeli occupation forces demolished 33 percent of almost 5000 supposedly “illegal” Palestinians houses and structures, while in contrast only 7 percent of the 2,900 cases of illegal settler construction which had been place under demolition orders were torn down. However, despite, the hardships faced under Israel’s brutal military occupation, the Palestinian people living in the Occupied Palestinian Territories have continued to remain “sumoud” (steadfast) in the face of the human rights violations visited upon them. In Palestine, resistance comes in many forms. Not only will the family in Azzoun Atma rebuild the home of their dreams, so will thousands of other Palestinian families who have also experienced the same devastating destruction. As the slogans of resistance scrawled on Israel’s apartheid wall testify: “to exist is to resist”. -Kim Bullimore is currently living in the Occupied Palestinian Territories, where she is a human rights volunteer with the International Women’s Peace Service (www.iwps.info). She writes regularly on the Palestine-Israel conflict for the Australian newspaper, Direct Action (www.directaction.org.au) and has a blog at http://www.livefromoccupiedpalestine.blogspot.com. According to reliable Israeli sources in Jerusalem, the Israeli municipal authorities are awaiting an opportune time to carry out further large-scale demolitions of Arab homes in the Silwan neighbourhood. “If the government finds out that international reactions, especially US reactions, are weak as usual, then it will mean a kind of go-ahead signal for the demolitions,” said the source that was not authorised to speak to the media. Israel this week demonstrated once again its determination to scuttle any genuine peacemaking effort that might lead to the establishment of a viable Palestinian state based on 1967 borders. Israeli bulldozers and huge hydraulic jackhammers descended on the Palestinian neighbourhood of Sheikh Jarrah to demolish the Shepherd Hotel, a huge complex dating back to the 1930s. Part of the structure served as home to the former grand mufti of Jerusalem Haj Amin Al-Husseini. The doomed structure thus had a lot of historical significance related to the history of the Palestinian struggle. The demolition was the latest step by Israel to consolidate Jewish hegemony over the occupied Arab town and obliterate its erstwhile Arab- Islamic identity. The forced Judaisation of the city — holy to Muslims, Christians and Jews — is done feverishly through shadowy deals and dubious expropriation practices in which deception, cheating and trickery loom large. Moreover, Zionist circles in cooperation with the Israeli government and Jewish settler interests have allocated hundreds of million of dollars for the purpose of channelling Arab-owned property to Jewish interests all over East Jerusalem. The demolition of the Shepherd Hotel took place despite international — including American — objections. However, given the generally ineffectual nature of these objections, the Israeli government has grown accustomed to taking them lightly, calculating that they are only meant for public relations consumption and that in no way do they constitute a credible challenge to Israel’s settlement policy. Reactions to the latest provocation in East Jerusalem have been “normal”, whether from the Palestinian Authority (PA) — which as usual appealed to “the international community” to pressure Israel — or from EU, UN and Arab states, which more or less repeated the same old platitudes pertaining to Israel’s settlement policy being unlawful and counterproductive to peace. Speaking in desperate tone, Ereikat said Israeli Prime Minister Binyamin Netanyahu was undercutting and corroding international efforts to create a Palestinian state. “While Netanyahu continues his public relations campaign regarding the peace process, on the ground he is rapidly moving to prevent the establishment of a sovereign Palestinian state. Meanwhile, the Israeli government has been trying to give the impression that diplomatic movement was underway, probably to create a public relations counterbalance to settlement expansion and ethnic cleansing of Palestinians in East Jerusalem and the West Bank. Netanyahu met with Egyptian President Hosni Mubarak in Cairo this week. He also asked for a meeting with King Abdullah of Jordan, ostensibly for the same reason. Mubarak did urge Netanyahu to reverse present Israeli policies vis-à-vis the Palestinians and the peace process. Netanyahu heard Mubarak’s appeal but didn’t listen to it. For as soon as he returned to Israel, the demolitions in East Jerusalem took place. Meanwhile, Israel is about to dispatch an envoy to Washington to assure the Obama administration that the Netanyahu government is still committed to the peace process. This comes in the aftermath of the clarion failure of the Obama administration to convince Israel to freeze settlement expansion in the occupied Palestinian territories, even in exchange for huge diplomatic inducements and military incentives. Some analysts believe that the obsequious American behaviour towards the Netanyahu government, especially the excessive patience displayed by Secretary of State Hillary Clinton, has further emboldened Israel and encouraged the Israeli leadership to ignore US pressure. “I am sure that Mrs Clinton dreads Israeli wrath and displeasure more than the Israelis dread American wrath and displeasure,” said one veteran European journalist based in East Jerusalem. The US reaction to the demolition of the Shepherd Hotel as well as the latest coldblooded killing of innocent Palestinians in the West Bank and Gaza Strip, including farmers tilling their land and old men sleeping in their beds, has been characteristically hollow and wrapped in diplomatic jargon. Meanwhile, Clinton put the peace process on the backburner as she toured Gulf Arab emirates and sheikhdoms, inciting them against Iran’s nuclear programme. Predictably, Clinton implied that Israel posed no threat to the Arabs and that the real common enemy of both Israel and the Arabs is Iran. Clinton went as far as discrediting statements by former Mossad chief Meir Dagan in which he said that Iran wouldn’t have nuclear weapons capability before 2015.